The Loose ring rubber covered jointed snaffle is a slightly kinder version of the traditional metal jointed snaffle. The rubber covering is warmer and softer on the bars, which makes it more suitable for soft mouthed horses, particularly those with large mouths that like to occasionally try and get their tongue over the bit. 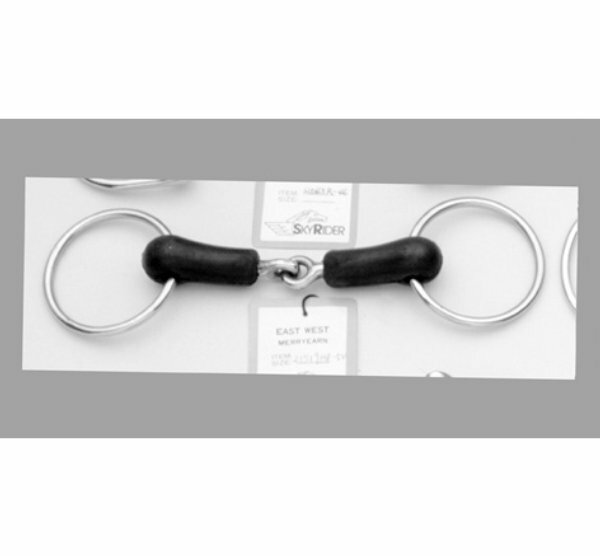 There are currently no questions for JHL Rubber Covered Loose Ring Jointed Snaffle - be the first to ask one!